Dr. Scott Chaiet is double board certified by the American Board of Otolaryngology and the American Board of Facial Plastic & Reconstructive Surgery. His cosmetic areas of expertise include: rhinoplasty (primary and revision), facelift, brow lift, eyelid surgery, and facial feminization surgery. He also practices reconstructive surgery of the face and neck, including: facial paralysis reanimation, facial trauma, and wound reconstruction after Mohs surgery. Dr. Chaiet leads the UW Facial Nerve Clinic and lectures nationally on patient reported outcomes after facial paralysis. He is an advocate for LGBTQ health with a focus on transgender care, and is active in the American Medical Association. 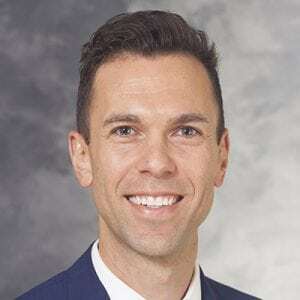 Dr. Chaiet is an Assistant Professor in the Department of Surgery and a full-time faculty member of the UW School of Medicine and Public Health, where he conducts outcomes research and is involved in training the next generation of facial plastic surgeons. Dr. Chaiet provides a wide range of services including Blepharoplasty, Botox, Brow Lift, Cheek Implants, Chin Augmentation, Congenital Defects, Earlobe Repair, Ear Surgery (Otoplasty), Face Lift, Facial Feminization Surgery, Facial Liposuction, Facial Nerve Repair, Fat Transfer, Filler Injections, Forehead Recontouring, Hairline Contouring/Lowering, Laser Resurfacing, Lip Augmentation, Lip Reshaping, Lower Eyelid Tuck, Maxilofacial Trauma Repair, Mid-face Lift, Mini-face Lift, Neck Lift, Nose Surgery (Rhinoplasty), Reconstructive Rhinoplasty, Rhinoplasty, Scar Revision, Septoplasty, Sinus Surgery, Skin Cancer Reconstruction, Tracheal Shave, Upper Eyelid Tuck. Dr. Chaiet’s research interests include functional rhinoplasty, patient reported outcomes in gender surgery, patient reported outcomes after facial nerve paralysis, and protective devices in facial trauma. Dr. Chaiet has contributed to numerous publications, listed below, as well as “Facial Feminization Surgery: Review of Facial Analysis and Surgical Procedures,” a chapter in Lesbian, Gay, Bisexual, Transgender, and Intersex Healthcare: A Clinical Guide to Preventative, Primary, and Specialist Care (Eckstrand & Ehrenfeld, Springer, 2016). Educational Exposure to Transgender Patient Care in Otolaryngology Training. Primary Palate Trauma in Patients Presenting to US Emergency Departments, 2006-2010. The Otolaryngologist's Role in Providing Gender-Affirming Care: An Opportunity for Improved Education and Training.